PDFClerk Pro has reached its end of life and is no longer for sale. You can still download a copy of PDFClerk Pro if you need it. Whether you are a printing and graphic communication industry professional, need to prepare a PDF document to your print-shop's layout specifications or edit PDF documents for a wide variety purposes, chances are PDFClerk Pro can help you get the job done more easily. Split even and odd pages. Fill out forms (with custom fonts and styles). Now you can print out your manuals, reports, essays, articles, web pages, etc., in a convenient and economic way. You can even create books for languages that read from right to left like Arabic, Chinese and Hebrew. 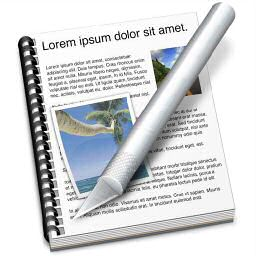 PDFClerk Pro recalculates impositions blindingly fast. Even documents with thousands of pages are laid out in less than a second. Play with margin settings, or any other layout options: PDFClerk Pro's instant previews make it cheap to experiment. PDF Nomad is the big brother with even more features and comfort. Please also try this version to find out which version fits your needs best.